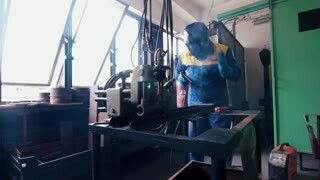 The documentary film "HVIEZDA (The Star)" tells a story of Jan Slovak, a 55-year-old welder, who fell in love with acting. His desire began, when he got the lead role in a theatrical adaptation of the worst movie of all time, Plan 9 From Outer Space by Ed Wood Jr. The passion for theatre became his destiny.